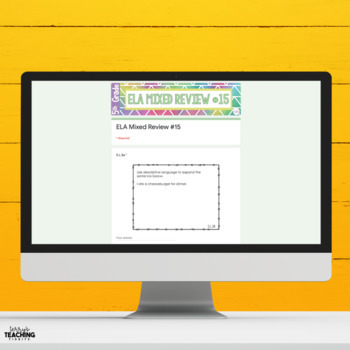 This pack contains 20 pages of mixed review of all the Common Core Standards and Georgia Standards of Excellence for Language. 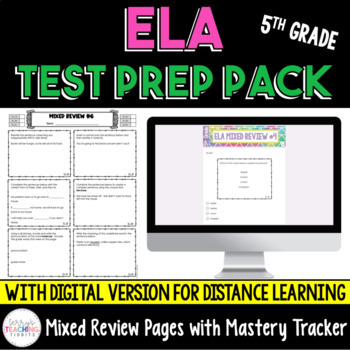 It can also be used to prepare for state standardized testing such as Georgia Milestones, PARCC, etc. 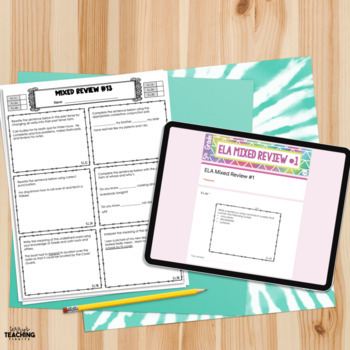 This product can be used as a spiral review or as morning work, exit slips, or test prep after all standards have been taught. One displays which standards are included in each mixed review. The other includes all the standards with a space for you to write the names of the students in your class. 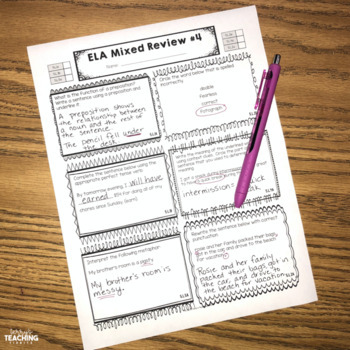 As you encounter each standard, you can use the list to either check off when each student masters that standard, or use it to indicate students who have NOT mastered that standard. Answer keys provided for all pages. You can follow me for the latest news on products and sales. © 2017 Terry’s Teaching Tidbits. All products purchased from © Terry’s Teaching Tidbits are intended for single classroom use only. The reproduction of any part of this or any other product by © Terry’s Teaching Tidbits is strictly prohibited. Copying any part of this (or any) product in any form (even on a personal or classroom website) is strictly forbidden. Doing so is in violation of the Digital Millennium Copyright Act (DCMA).